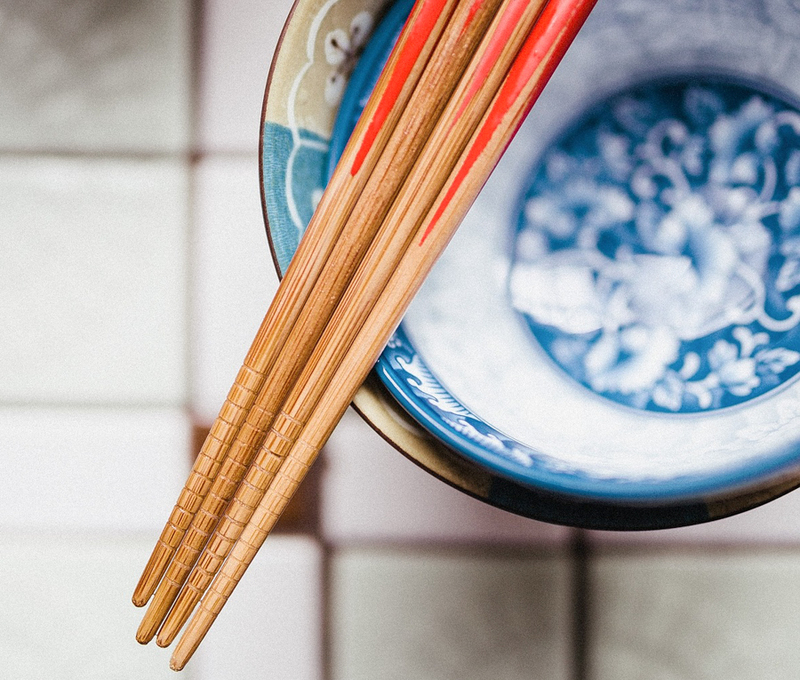 Try eating with chopsticks: I came up with this idea when I was eating sushi with a friend. I was very hungry, but I wasn’t used to eating with chopsticks. This caused me to eat very slowly. However, eating slowly prevented me from gorging myself and then I felt full twenty minutes later. Chopsticks will force you to slow down and allow your body to process when you're really full. Stay Busy: There is something about watching television/ Netflix marathons that encourages mindless eating. Your brain is more or less taking a vacation, which makes it easy to mindlessly scarf down snacks. On top of that, it is a sedentary activity. This isn't to say that you should never watch TV. But, reducing the number of hours per week you spend watching TV will both prevent mindless snacking and increase your daily activity. Try picking up a more active hobby. Cut your food into smaller pieces: This idea is similar to the chopstick idea in that it forces you to slow down. Often, when we are hungry and we sit down to eat, we eat so quickly that our body does not have enough time to register that it is full. By the time the full feeling kicks in, we have already gone too far. Cutting your food into small pieces forces you to slow down and allow your body to register how much food you’ve taken in.